Books | Art Supplies | Custom Framing | Gifts | Candy | Cards | Toys | Jewelry & more! Email at booknbrush@gmail.com or call (360)748-6221 for price. Naomi Wood was awarded the 2012 inaugural Eccles Centre British Library Writer in Resident Award. She is the Young Patrons Ambassador at the British Library and teaches at the University of East Anglia. She lives in London. 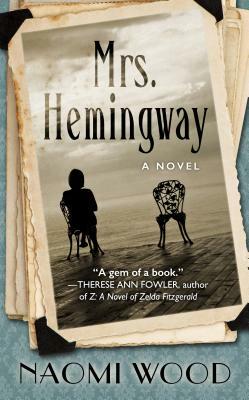 "Mrs. Hemingway" is her American debut.